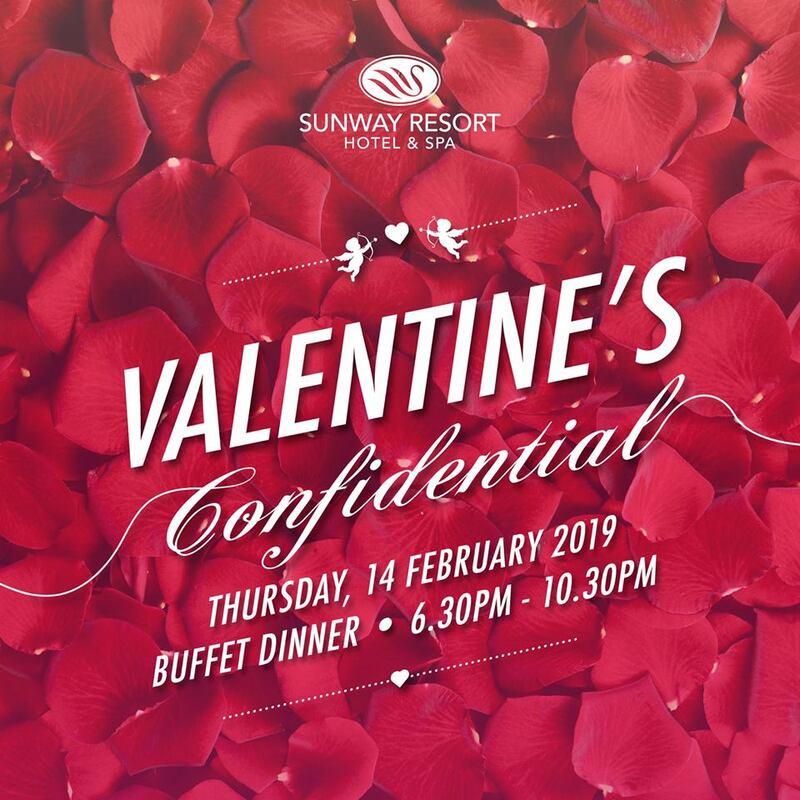 This Valentine’s Day, why not show your loved one how you feel and celebrate love together with a delicious menu promising culinary adventure and a romantic setting at The Resort Café, SUNWAY Resort Hotel & Spa. 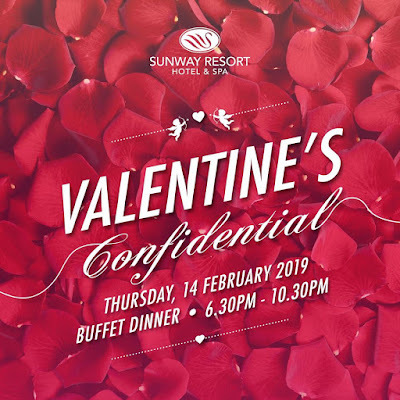 The Resort Café celebrates the special occasion with the theme “Valentine’s Confidential” priced at RM148 nett per adult, inclusive of a red rose, 2 glasses of complimentary sparkling wine, an exclusive chocolate door gift for the ladies and a free couple luggage tag courtesy of Photobook Malaysia. For a more intimate Valentine’s Day, couples can enjoy a romantic dinner at Café West, Sunway Clio Hotel. Designed for two (2) adults, the 4-course sit down western dinner overlooking the pool and city skyline is priced at RM128nett and includes 2 glasses of complimentary sparkling wine, a starter, appetiser, main course and dessert. In addition, ladies will also receive one complimentary rose, an exclusive chocolate door gift and a couple luggage tag courtesy of Photobook Malaysia. For reservations at Café West, call +603 7495 1798 or email to srhs.bookfnb@sunwayhotels.com.